It’s hard to imagine why anyone would want to leave Nellie Gail with its beautiful homes and lovely trails, but life events sometimes make a move necessary. When it does, call Coast Valley Moving & Storage, Inc. As Wheaton World Wide Moving agents, we take their “customer first” philosophy seriously, and we’re not happy until our customers are 100% satisfied. Your personal relocation specialist will help you create a custom package, and our Nellie Gail movers will ensure everything arrives in perfect condition. It’s easy to see why we are the premier choice among Nellie Gail moving companies! Our highly-trained movers stay up-to-date on regulations for interstate moves. We coordinate your entire move from packing the first box to setting the last piece of furniture in place. We have access to Wheaton World Wide moving trucks and professional movers throughout the country. Our Nellie Gail movers can handle your fragile and valuable items with our specialty packing and crating services. We provide free, no-obligation estimates, so you’ll know exactly how much your move will cost. If you’re doing some of the packing yourself, we’ll deliver moving supplies right to your door! Nellie Gail residents expect quality service, and we deliver! 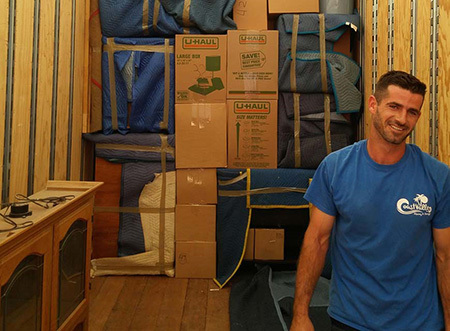 Our highly-trained residential Laguna Hills movers know how to handle even the most fragile and valuable items. They are well versed on crating techniques that help protect valuables from damage en route. Don’t trust your belongings to just any Nellie Gail movers—choose Coast Valley Moving for the exceptional service you deserve! If you need to store some of your belongings before or after a move, our secure warehouse is a safe place to keep them. Our state-of-the-art security and advanced fire protection system gives you the peace of mind of knowing your items are safe with us. Whether you need to store your things for a few days, a few months, or longer, our short- and long-term storage solutions are just what you need! Learn more about our services and see why so many turn to our Nellie Gail moving company first! Give Coast Valley Moving a call today to speak with a relocation specialist or fill out our online contact form to receive your free, no-obligation estimate!